LAST DAY TO REGISTER TO VOTE: Wednesday, October 18th at 8:00pm at the Town Clerk’s Office, First Floor, 355 East Central Street, Municipal Building. Or, register online at (registertovotema.com). 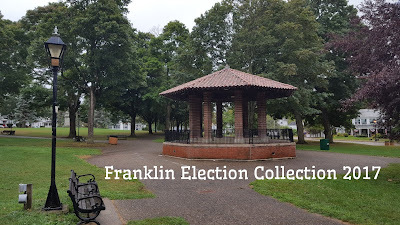 (2) Visit the Town Clerk’s website at (franklinma.gov) to print out an Absentee Ballot request form and either email or fax (508)520-4913.